Danny the Wildchild aka Daniel Garcia was born on the South side of Chicago in 1977. The brother of a once aspiring DJ, he keenly watched and quickly learned the tricks of the trade. Danny began djing at age nine soon surpassing his brother’s abilities and eventually inherited his equipment and records. At twelve, Danny entered a Chicago area contest for young DJ’s and won. He took home that fifty-dollar prize and was called “The Wildchild” from that day forward. Although Danny’s roots were as a Hip-Hop DJ, he was eventually introduced into the Chicago Rave scene and to the world of drum-n-bass. He enjoyed this new form of music, but also loved hip-hop and began to creatively blend the two genres creating a unique sound of his own. As Danny’s turntable talents grew, he began to incorporate scratching and DMC style battle tricks into his Drum-n-Bass sets. 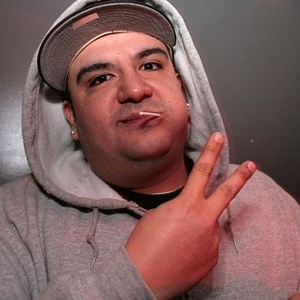 His precise mixing skills and unique style and sound gave him the opportunity to bring Drum-n-Bass into the DMC and Hip-Hop scenes. Danny’s recognition has earned him a collection of praises from domestic and international magazines such as Mixer, Thousand Words, Faqt, and Lotus to name just a few. Danny was also featured as one of the people making waves in the scene in Urb’s Next 100 Artists to Watch Issue. Today Danny has become one of the most valued U.S. Drum-n-Bass DJ’s. His unique blends of jungle and Hip-Hop beats and amazing scratching and beat juggling have proved to be show stopping. His talents have brought him to perform in venues worldwide and opening up for such acts as Eminem, Method Man, The Jungle Brothers, De La Soul, Moby, Goldie, MixMaster Mike and The Pharcyde. Danny also toured extensively throughout Europe with DJ Q-bert in 2002 (see djqbert.com). Although most weekends he is on the road, he still has time to host the 12midnight slot on Chicago’s Alternative Radio station Q101FM and is gotten back in the studio. In March, the Wildchild released a follow-up to his 1999 12″ release on Bad Boy Bill’s Canvas label. His first effort at mix CD culminated in the release of “Danny The Wildchild: Booked” (March 2001). The Wildchild’s was the first in a series of “Booked” CD’s from Chicago’s Strictly Hype Recordings. This was followed by the successful release of his latest CD in 2002 on Surge Recordings entitled “Fully Sorted”. Danny The Wildchild Huge jungle party in Toronto Canada, called RENEGADES Oct 8 1994 w/ UK headliners Dj Rap, Dj Trace, Mc Rymetime and..
Danny The Wildchild Thats easy @DJHYPE_PLAYAZ is responsible for who i am, he showed me the best of both worlds scratching over dnb!!! Danny The Wildchild Thats tough so many great places i havent been to as of yet, but on the spot i’d say Japan i’ve got to go! Apart Can you Youtube us one track that we can expect to hear you play in Milwaukee? Danny The Wildchild I’ll always have fond memories of the early 90’s midwest rave scene and true warehouse parties being underground! Danny The Wildchild Have been fixing Technics 1200’s and other dj gear for years, scratching i would beat up my stuff and had to fix them.